Being a leading politician and human rights defender does not always go together well. Patricia Murphy (“Patt”) Derian was one of the exceptions. She passed away on 20 May 2016 at the age of 86. She was an American civil rights and human rights activist, who served under President Carter from 1977 to 1981. 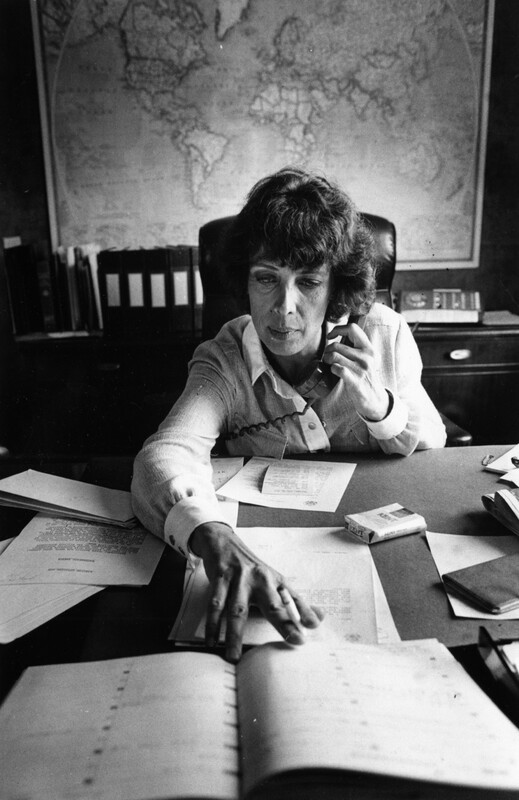 After Jimmy Carter won the election, he nominated Derian to be Coordinator for Human Rights and Humanitarian Affairs and elevated the post to that of Assistant Secretary of State for Human Rights and Humanitarian Affairs effective August 17, 1977, and Derian served in that capacity for the remainder of the Carter administration. In this post she worked to improve policy coordination on humanitarian issues such as human rights, refugees, and prisoners of war. Derian, who had headed an Inter-American Commission on Human Rights delegation in 1979 to investigate reports of widespread human rights abuses in Argentina, returned to Buenos Aires in 1985 to testify in the historic Trial of the Juntas. She was quoted in documents in the National Security Archive as openly accusing military leaders of torture of prisoners at a meeting in Argentina in 1977. An Argentinian journalist, Jacobo Timerman, who was tortured by the junta, credited Derian with saving him from execution. She supported deposed Philippine leader Benigno Aquino and the South Korean dissident Kim Dae-jung. When Kim was elected president she was invited as a special guest to his inauguration. This entry was posted on	May 30, 2016 at 09:37	and is filed under human rights, Human Rights Defenders. On the occasion of the passing away of Patt Derian I had recently an exchange of correspondence with Margo Picken. We still keep a dear and warm recollection of her work as the human rights conscience in the Carter administration. She was a close ally. After the demise of the Carter administation I lost track of her but I do remember that both of us testified in 1985 at the criminal trial of the military junta in Buenos Aires. Thank you very much for including Patt in your posts.